At McCurdy Electric, we know how important it is to feel connected at home or at work. 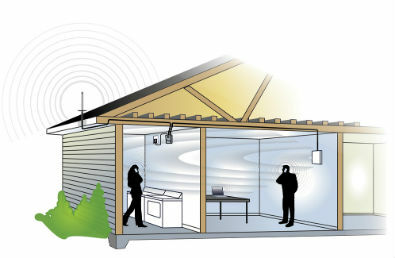 We have the perfect solution – we professionally and affordably install in-building wireless signal amplifier systems. Can you even imagine life without your cell phone at this point? Why is it that service has so many gaps and you can’t seem to get enough "bars" without stepping outside? We can design the perfect customized system for any situation, and for any budget.